Announced back in May, at the same time with he Moto G4 and Moto G4 Plus, the Moto G4 Play is now finally ready to hit shelves in the US - about two months after Motorola released the G4 and G4 Plus. Already available in Canada, the Moto G4 Play will be launched stateside on September 15, and can be pre-ordered via Motorola, Amazon, and B&H Photo Video. The new phone costs $149.99 unlocked, though you can also grab it for just $99.99, as long as you're an Amazon Prime member, and don't mind seeing Amazon ads on your lock screen. Being the cheapest option among Motorola's three new G4 smartphones, the Moto G4 Play is also the smallest (sporting a 5-inch 720p display), and the less powerful (as it's got a Snapdragon 410 processor instead of the Snapdragon 617 found inside its larger siblings). Another thing to keep in mind is that the Moto G4 Play can't be customized via Moto Maker, so you can only get it in two color variants: black and white. The Moto G4 Play is compatible with all major US carriers (LTE included). The phone runs Android 6.0 Marshmallow, further featuring an 8 MP rear camera, 5 MP front-facing camera, 2 GB of RAM, and 16 GB of expandable storage space. The device benefits from water repellent nano-coating, and includes a 2800 mAh battery. Is anyone here planning to buy the Moto G4 Play in the US? How about getting a LG G2 or Samsung Galaxy S4 at the same price of the Moto G4 Play, then root and flash the CM13 Android 6.0 custom ROM? That's a much better purchase than the G4 Play. But they wont support ATT/T-mobile/Sprint/Vzn etc. Moto is compatible with all 4 networks.. Updated processors with better efficiency and brand new displays instead of buying a used or refurbished device that is too old to receive official updates. I would assume that the cameras are also much improved over the S4 and G2. WTF are you talking about? You can still get a brand new and unused LG G2 for $150! Because a flagship is 3 years old, does it mean only refurbished ones are available for sale? Which updated processor in the G4 Play? Are you really compairing Snapdragon 410 vs Snapdragon 800? Brand new display? LOL, the G4 Play's display quality is as good as 2012 displays. Which improved camera? WTF? The ISP in the SD410 SoC is still inferior to the SD800's ISP. The LG G2's 13MP OIS camera destroys the G4 Play's 8MP sans OIS. And LG G2 can also handle Android Nougat without breaking a sweat. 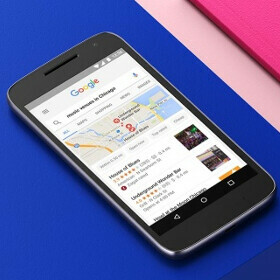 Why would anyone buy a Moto E when $20 more gets you double the RAM and double the storage? can't you just download a different lock screen from the play store and bypass all the ads? There are ways around it but the ads are so un-intrusive that I've just left it alone on my G4. It seems pretty nice, but since it has no Moto Maker customization, I'm not interested. The price is nice though for a truly unlocked phone and the fact it works on all carriers is awesome!